The Keystone HDS Extreme Heavy Duty Submersible Slurry Pump is designed to pump the worlds most abrasive solids. The HDS is the most rugged and efficient submersible slurry pump on the market today. 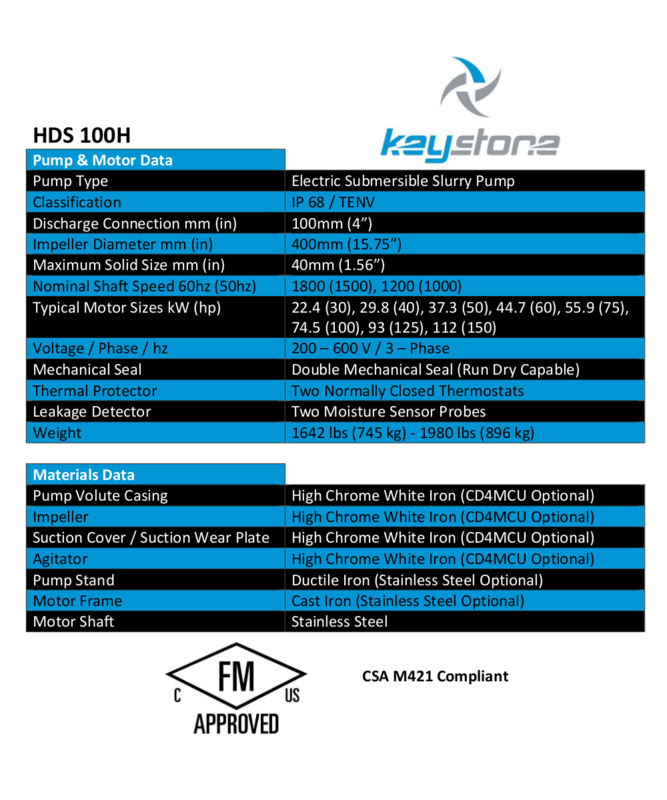 The Keystone HDS utilizes the same wet end platform as the HDV vertical cantilever pump. The HDS 100H is equipped with our state of the art twisted vane impeller technology for longer wear life, higher efficiency, and overall better performance.